Looking up at the first orchid installation, which is 18 feet high. BRONX, N.Y. — It's an orchid show for a new generation. 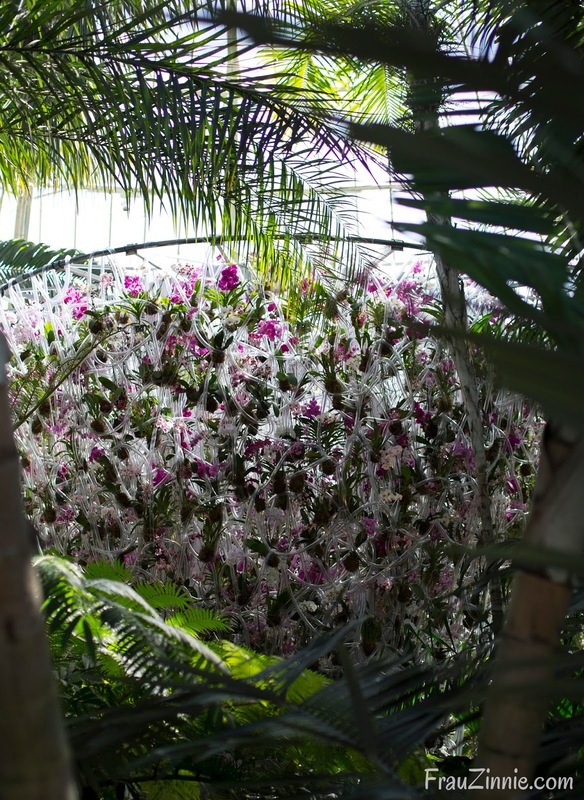 “I want this exhibition to attract visitors who are 30 to 55 years old,” said acclaimed Belgian designer Daniel Ost, who designed the 16th annual Orchid Show at the New York Botanical Garden (NYBG). 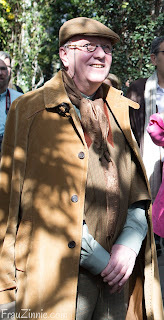 Ost implied that older individuals usually take the time to visit botanical gardens more than the younger generation does. The attendees' age was the follow-up question I asked Ost as the media were touring the second and last design installations because I felt it was so unusual that a designer was focused on attracting a younger audience to the exhibit. This year is definitely a standout year, and with events such as Orchid Evenings that begin tonight, where visitors explore the exhibition after hours and enjoy music and performers, there's even more reason for those 30 to 55 year olds to come out and experience this year's show. Almost 7,000 orchids were used in this year's show, coordinated in a defined color palette as they dance through the Victorian-style greenhouse, using plastic tubing and bamboo to create living sculptures in homage to the flower. A masterful designer, Ost has been hailed in Belgium as "the Picassso of flower arranging" and in France as "the international star of floral decoration." He is the first person to be invited from outside the NYBG staff to totally design the entire show — choosing the placement, color palette and companion plantings for the three major installations. 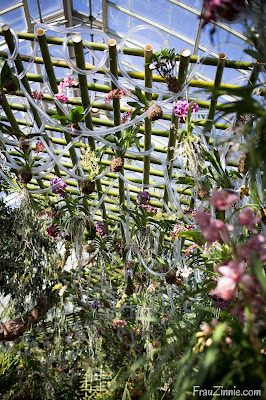 The first installment features several orchids that ascend to the ceiling of the conservatory dome. “Mainly when you see exhibitions, the flowers are not growing,” Ost said, referring to shows were cut flowers are predominately featured. 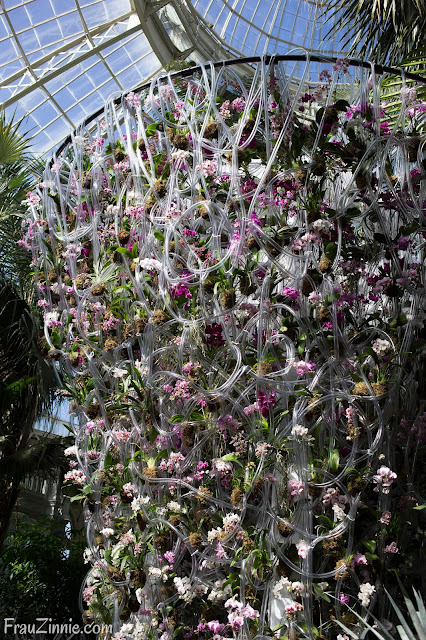 “I wanted to show the diversity and that most orchids are epiphytes — growing in trees, growing with other plants." 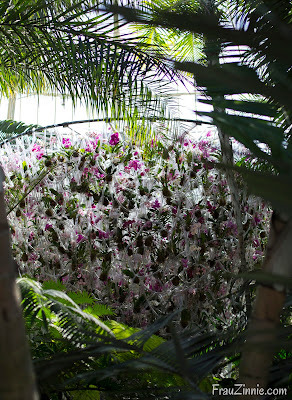 Ost said a role in his agreeing to design this year's Orchid Show was due to how impressed he was by the NYBG’s collection of orchids. “The heart they have for their collection. … No one else has a collection [like this].” The NYBG also plays a large role in plant research and conservation. Plastic tubing is mean to represent water and the conservatory's glass. first installation is on display. 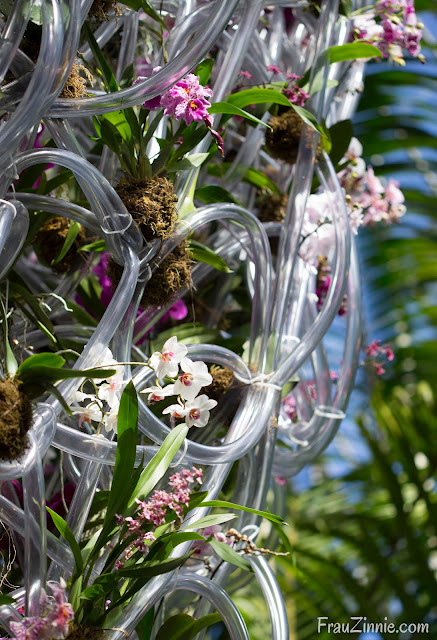 Each installation created by Ost in the Enid A. Haupt Conservatory features a different interpretation in the way orchids are presented as living structures. The color palette changes as the visitor advances through the conservatory. 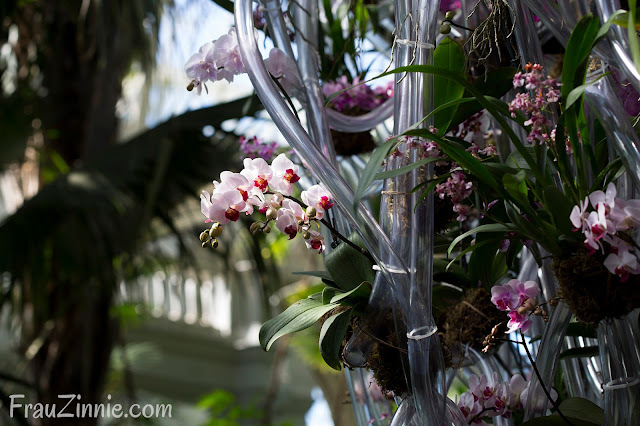 As mentioned earlier, the first installation, at 18 feet tall, uses plastic tubing with orchids in pink and white hues that tower over visitors as they enter the conservatory with a 90-foot dome. “The tubing reflects and gathers the light. You are able to see thousands of individual orchids – they all resolve individually, which is Daniel’s brilliant idea," said Forrest. The structure is reflected in the water feature it resides in, accompanied by large floating bromeliads ('Vriesea odorata'). View more photos from the first installation here. 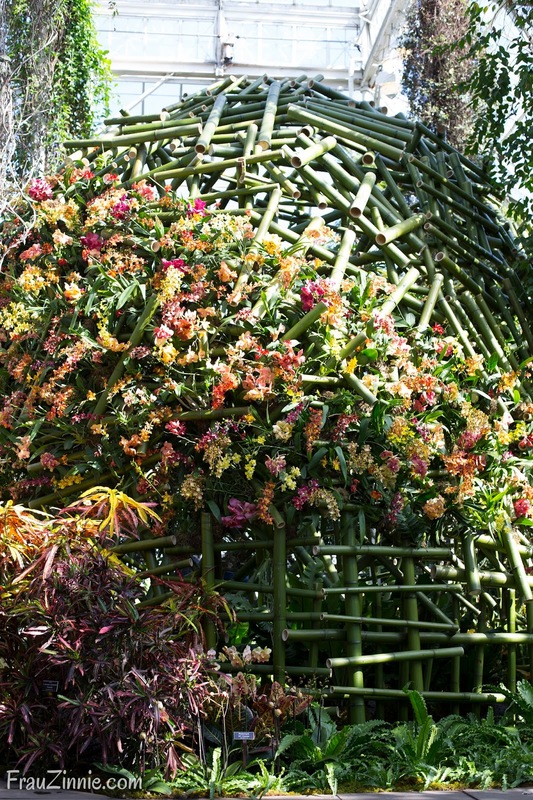 The second main installation features a bamboo structure with a ribbon of orchids weaved into it. One view of the bamboo structure. 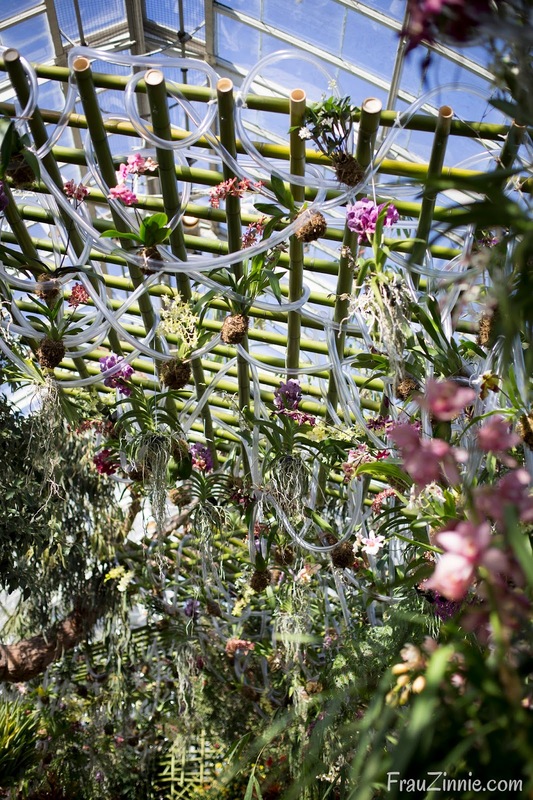 The second major installation uses a large bamboo structure softened by a ribbon of orchids cascading around it. The bamboo, sourced from north Georgia, is rather tall, and the orchids elongate its appearance. There are sections where you can see inside the structure and other portions where the flowers are so densely gathered that the golden, rust and salmon colors are all that meet the eye. 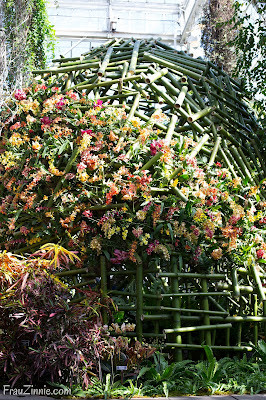 The orchids were threaded through the bamboo structure, which is flanked by companion plantings of other tropical plants. “The bamboo companion plantings are much different than the ones we’ve used before. Most of them have never left the Nolan Greenhouses," said Karen Daubmann, Director of Exhibitions and Seasonal Displays. View more photos from the second installation here. In the last major installation, other non-orchid plants were brought out of the NYBG's collection to act as foils to orchid blooms. 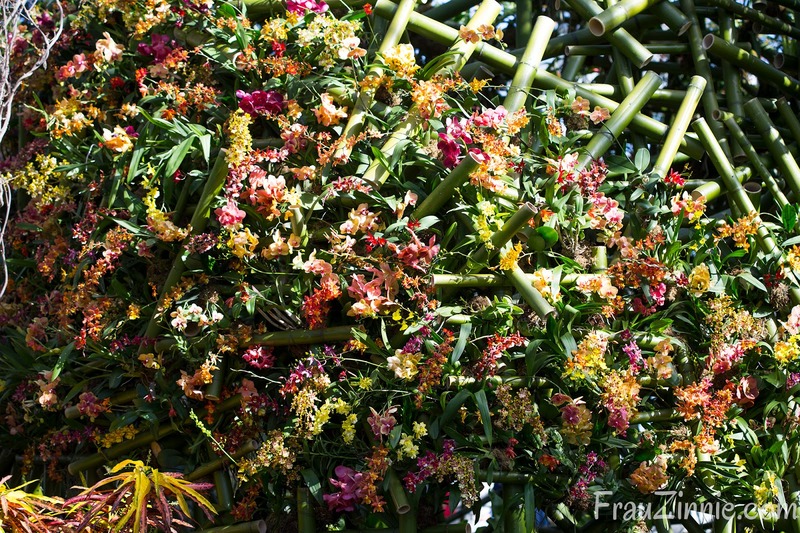 Ost chose a varied amount of colorful, tropical plants to compliment the orchids. Moss and ferns were used in the garden beds, providing a rich tapestry of green hues along the ground. In some places, the lady slipper orchids were planted in the moss. At eye level, plants such as rabbit's foot ferns (Davallia fejeensis), golden dewdrop (Duranta erecta 'Cuban Gold') and mother of hundreds (Kalanchoe mortagei) also show off for visitors. 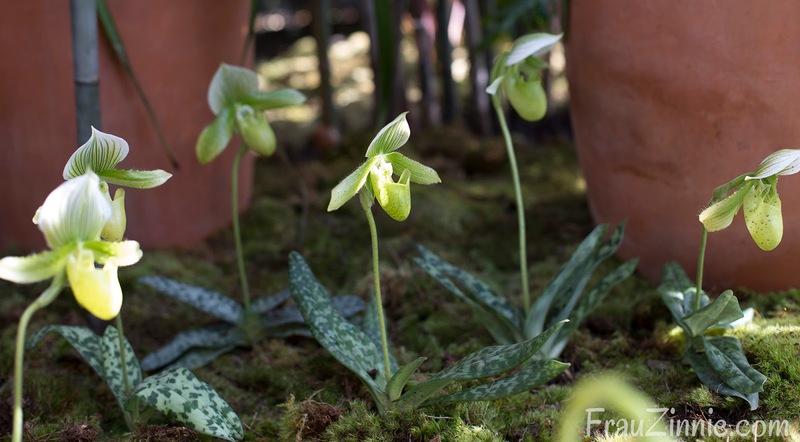 An army of lady slipper orchids cover the ground in the third installation. It's the third installation that weaves both plastic tubing and bamboo elements together. Bamboo rafters and clear tubing are suspended above visitors, which is meant to mimic both the glass ceiling panels of the greenhouse and water. Woven into the bamboo and plastic are various varieties of orchids, with their roots either wrapped in moss and tied with twine or suspended freely. View more photos from the third installation here. The orchid's roots that are suspended vertically (8 inches or more) are meant to remind the visitor that orchids are epiphytes. The combination of orchids with unusual foliage, which Forrest referred to as a "celebration of botanical diversity," creates a very different atmosphere than previous orchid shows. The 16th annual Orchid Show runs through April 22, 2018. For more information, visit The New York Botanical Garden website. View more photos from the 16th annual Orchid Show here.